Furnished Marina Hills view home! Spacious remodeled 4 bedroom, 3 bath home. Features engineered hardwood floors, custom marble staircase, gourmet kitchen, granite countertops, fireplace, dining room. 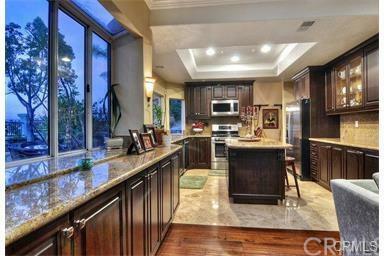 Great entertaining backyard with fantastic views of Saddleback! Marina Hills association pool/spa and clubhouse.